A new career is waiting for YOU! We provide the FREE training! Why Property Management as a Career? There has never been a better time to start a career in residential property management (RPM). Demand for rental housing is growing rapidly, and so is the need for talented, creative, and passionate people to help build strong communities. RPM is a meaningful, robust, dynamic, and highly professional field, dedicated to helping people choose and enjoy the housing lifestyle that’s right for them. Our industry boasts full and part-time careers that pay competitive wages and offer robust benefit packages including 401K, Healthcare, Paid Vacation, Discounts on Housing, Tuition Reimbursement, Paid Internships and more! Whether you like helping people, enjoy getting your hands dirty, or excel at crunching numbers, careers in residential property management offer many possibilities and the opportunity for lifelong learning and career development. RPM offers opportunities for training and advancement in numerous career tracks. Working in a team atmosphere allows you to build strong relationships with co-workers while developing your leadership abilities. 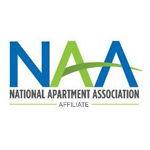 No matter the career path, interpersonal relationships are essential in the apartment industry. Your interactions will range from your colleagues and residents to suppliers. Your ability to network with different people on a daily basis can open you up to opportunities you never knew existed. *Salary and benefit packages vary by company and position. READY TO GET STARTED? Join our RPM JumpSTART program! No Experience Needed! Bring Your Transferable Skills and a Desire to Succeed! Learn the basics of Residential Property Management including leasing, operations and maintenance through our FREE RPM Jumpstart program! Then be connected with professional property management companies that are hiring for full time positions NOW! NOTE: This progam is intended for candidates NEW to residential property management. Associates currently employed by our members are not eligible. QUESTIONS? Contact Sloane Cerbana at 425.656.9077. We Are Hiring in YOUR Neighborhood!